Brendan Clarke; Ger O'Brien, Rory Feely, Lee Desmond, Ian Bermingham; Michael Barker, Graham Kelly; Conan Byrne, Jamie McGrath (Darragh Markey 85), Mark Timlin (Billy Dennehy 73); Christy Fagan. Peter Cherrie; Hugh Douglas, Conor Kenna, Tim Clancy, Kevin Lynch; John Sullivan (Alan McMally 90+2); Karl Moore, Mark Salmon, Darragh Noone, Dylan Connolly (Jason Marks 86); Ger Pender (Chris Lyons 79). 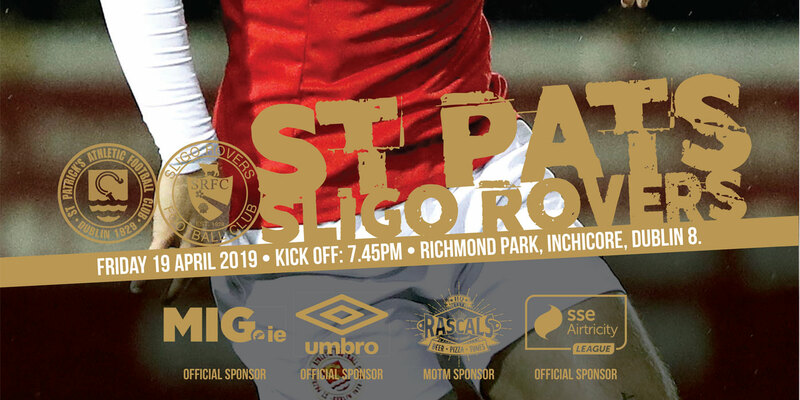 A first league goal of the season from Hugh Douglas earned Bray Wanderers a come from behind win in their SSE AIrtricity League Premier Divisoin clash at Richmond Park as they did the double over St Patrick's Athletic. Former Bray midfielder Graham Kelly scored a cracking first half goal to put Saints ahead. 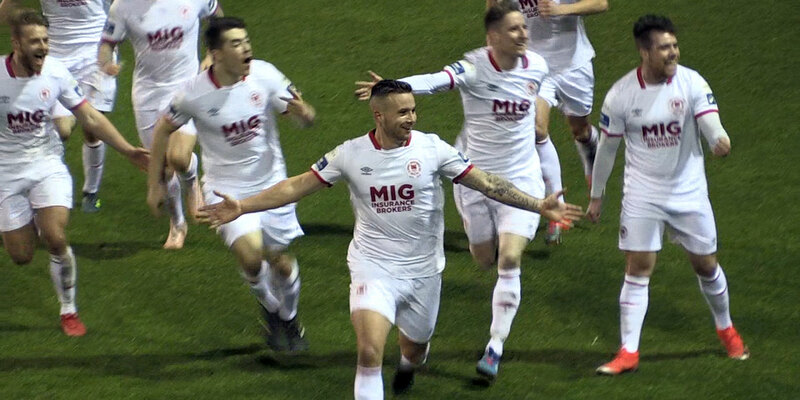 But Bray were always well in the game with Ger Pender, who scored their winner against St Pat's earlier in the season, levelling before Douglas won it, all inside four second half minutes. 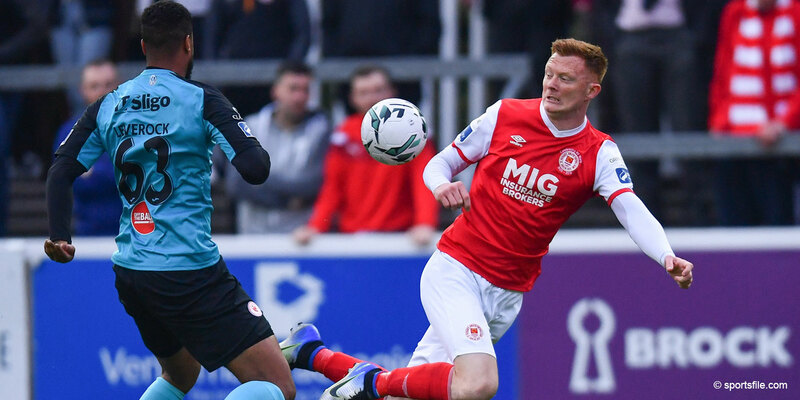 With four changes from their 0-0 draw at Shamrock Rovers on Friday, St Patrick's started brightly with Conan Byrne heading over the top from Kelly's right wing cross inside the opening minute. Bray responded six minutes later with Dylan Connolly working a one-two with Pender to get in on goal. Lee Desmond got across to make a timely interception as Saints cleared the danger. Douglas had to do likewise at at the other end within a further minute, nicking the ball off the toe of Mark Timlin after Byrne got in behind Kevin Lynch to cross. Bray left-back Lynch did well soon afterwards at the other end, putting Pender in behind with Brendan Clarke having to make a comfortable save from the striker's angled effort. In an open game, Clarke was really worked for the first time on 19 minutes, spreading himself well to save Connolly's shot after Pender put the flying winger through. Right-back Douglas then got into the box to loop a header over Clarke's crossbar from Lynch's deep delivery from the left. Clarke had to rescue St Pat's again on 38 minutes with the stop of the first half. Again Connolly's pace saw him gallop in behind the home rearguard with Clarke off his line well to push the shot out for a corner. Having survived, St Pat's then snatched the lead with a delightful goal on 43 minutes. Jamie McGrath held the ball up well to set up midfielder Kelly who ran onto to it to hit a stunning first time right-footer that arrowed to the corner of the net past Peter Cherrie. Further sloppy defending was equally clinically availed of by Bray for what would prove their winner four minutes later. St Pat's defender Ian Bermingham was caught in possession by Douglas who blasted the ball to the roof of the net.